As mentor and culinary influence to celebrity chef Jamie Oliver, Gennaro Contaldo is one of the true masters of Italian cooking. 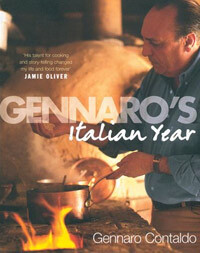 His book Gennaro’s Italian Year is his culinary memoir and is a celebration of Italian food, culture and lifestyle. In these beautiful pages with words and evocative photographs he shows us how to cook; eat and live like a true Italian. Genaro’s Italian Year is an inspiring collection of family recipes and traditions from a life where the enjoyment of harvesting, cooking, preparing and eating food has defined his life growing up and continues to do so. His reminiscences of growing up in Italy are a pleasure and his enthusiasm for the culture and history is infectious. 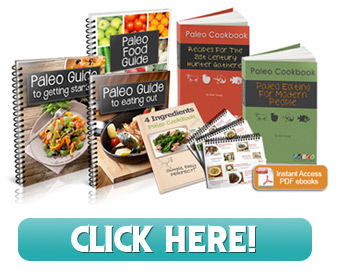 The collection of seasonal recipes is a superb representation of authentic Italian dishes with such favorites as Roast Leg of Lamb in a Breadcrumb and Parmesan Crust; Torta Pasuqale and Baba Limoncello Cake. Gennaro’s love of food and the natural ease with which he prepares his unpretentious and simple meals radiates from every page. This book is a real treat for lovers Italian food and cooking.